We all know the look. The look we get when we tell acquaintances, friends, even family members, that we’re choosing to become a stay at home mom. It’s a mix of confusion, surprise, pity, jealousy and “judgyness”. This segment is about overcoming the stigmas of being at SAHM. Whether placed on us by loved ones, SOs, friends, strangers, MSM, or even ourselves, stigmas are the mantras we tell ourselves over and over that slowly break us mentally, spiritually and emotionally. We can overcome these debilitating scripts. We can become the all-star parents we saw ourselves being from the minute that pink line smiled back at us. That very well may be a fact. Some of us simply cannot live without the income of the mother. Whether you are a SP and must be the sole provider, or you and your SO are in a place where there is no possible way to make it work, its ok. WOH presents you with different challenges than a SAHM but you dear, are superwoman. You got this. But this segment is for the women that come to the (scary) decision to leave work and take on childcare FT. I don’t care if you’re Bill Gate’s wife, leaving you job and losing that income no matter what your financial situation, is freaking terrifying. So let’s fix it. Let’s relieve the anxiety and talk about some simple, practical options that may sound intimidating at first but will ease the shock of financial loss and help the transition into FT booger covered zombie a little less intimidating. My DH and I sat down and said “this is what we’ve got.” That number, every pay period is what I have to purchase groceries, baby supplies, gifts, clothes, household needs…pretty much everything besides gas, bills and major purchases. That’s it. Trust me, if I told you, the number would make you fall out of your chair and say “Ramen is disgusting, I can’t do this.” Trust me, you can. And you don’t have to eat Ramen (hey, throw some chicken in it, a couple veggies, Ramen can work!!). But to start, sit down with you’re SO and come up with a number. Freak out for a second, then take a breath and let’s move on. For the love of all that is Holy, do not watch Extreme Couponing and think you need to put on an addition to hold all your toothpaste. Just, no. But what you need to do is start small and get the Sunday paper. The Sunday paper will cost you about $2, sometimes as low as $.75 if you preorder and have it delivered. It will provide you with dozens of coupons every week that will cut your grocery bill significantly. Cut, organize a little, and then make a list. I told you. Make a list. You don’t need binders and file folders of coupons to save money (yes I have a binder, yes I love it, no you can’t touch it). Start simple. Make a list of things you need for the week and then start looking. 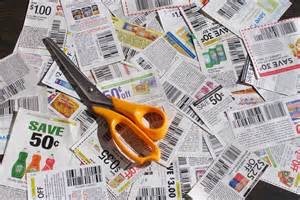 Look through your Sunday paper coupons and start to match up coupons with what you need. Then if you’re feeling bold, check out coupons.com. It’s not scary. Look for what you need ONLY. Don’t get wild and burn through your printer ink. After that, hit up google. I needed rice. I googled “Uncle Ben’s.” I found a coupon. Not rocket science. Just simple computer skills. Go to the store now. After you read this, read my review on grocery reward apps. They’re free. Then, look up what you bought, take a pic of your receipt, get cash. Boom. Easy. Ebates is fool proof. Any time you shop online, find the site you’re going to on Ebates first. You’re making the purchase already, why not get 6% cash back?? 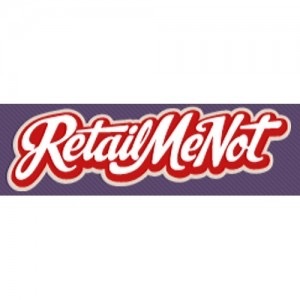 Then, when you get those orthopedic pacifiers your mom is convinced will prevent braces, check out Retail Me Not for a promo code. Boom. Now you’ve gotten 6% cash back from Ebates and saved 15% off your total and got free shipping because you found a code on Retail Me Not. Online shopping nirvana. Start here. These are the things you can do from home, don’t take hours and hours of your precious sleep time and WILL save you money. Lots actually if you start to really get into it. We can talk about meal planning, getting your cable bill down (or getting rid of cable altogether) later. 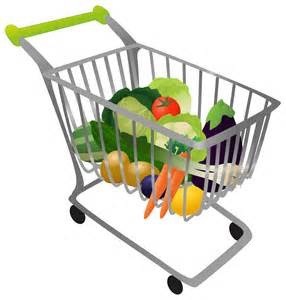 Let’s start at the beginner level and wow your SO with how much you saved on groceries this week with a little extra planning and little time on the tablet. You got this.